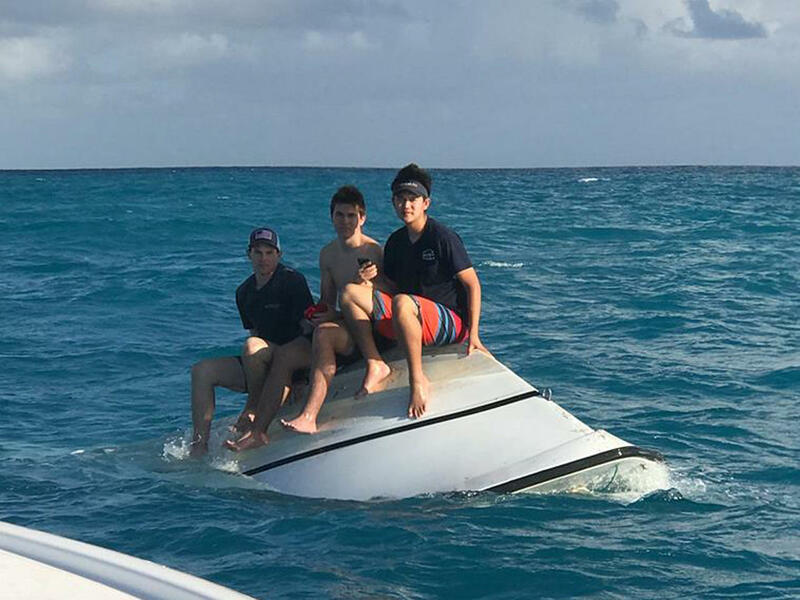 LITTLE TORCH KEY, Fla. - Three stranded teenage boys from California called 911 and calmly sat atop a capsized boat before being rescued from waters off the Florida Keys, authorities said Wednesday. Monroe County Sheriff’s spokeswoman Becky Herrin says Zack Sowder and Brent Shishido, both 18, and Jacob Sowder, 16 - all of Orange County, California - were perched on the overturned hull, their life jackets trapped under the 22-foot vessel, when help arrived Tuesday. Hagar had just taken his boat out of the water around 3:15 p.m. Tuesday when he got the call about the stranded teenagers.